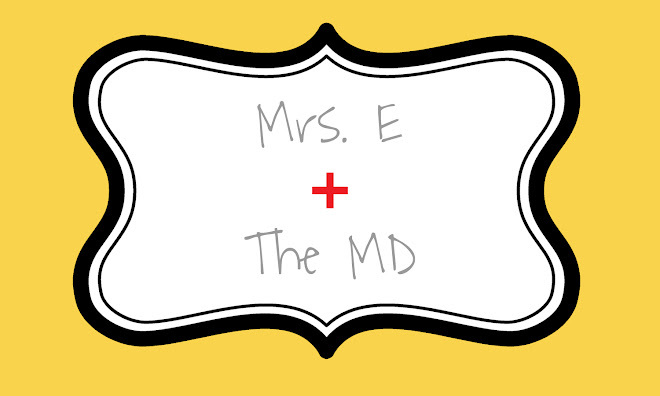 Mrs. E and the MD: Things that make you go "Hmmm....?" I'm so excited... The Pioneer Woman's new cookbook is due out in March! Woohoo! I absolutely love her and can't wait to start making some new recipes of hers. But no, this post is not about P-Dub, as I lovingly call her. It's about getting old. I'm almost 28. Yikes. It looks even older when it's all typed out like that. But, I'm not an idiot. I know 28 isn't old by anyone's definition (other than my 4th graders'). However, I was at McDonald's today with Noelle for breakfast (don't worry...we split a fruit & yogurt parfait and plain pancakes...I'm not off the wellness wagon yet, folks...) and all around us were really old people. I was gawking at them and trying to listen in on their conversations. There was a group of about 6 old ladies behind us, and a man walked in who they knew (probably because he comes to the local McD's every morning, too), and they were talking to him about how many people they knew who fell and slipped on the ice last week. The man alone knew 3 people who fell, and one of the little old ladies fessed up to falling, too. Yikes. I then spotted an elderly gentleman eating by himself with no wedding ring. I remembered being in college and one of my roommates, Laura, and I would get so sad when we would see an old person eating alone that we would have to make up a story about the person so we would feel better. "Oh, he's probably getting ready to go see his 54 grandchildren. He probably has a fun 84th birthday party to go to later." I'm so afraid of getting old, but I'm also afraid of the alternative, which would be not living to be "old." Is this what I will do when I am retired? Go to McDonald's with my friends? I mean, I did that through most of my years in college. It's probably quite fun. And you can't beat the Senior Citizen coffee price. I don't know. I don't really know the point in writing all of this. I also can't seem to get The Lion King's "Circle of Life" song out of my head.